Visit either the App Store or Google Play to download our App. The first time the App opens, you will be asked to accept notifications – please ensure you select “Allow”. 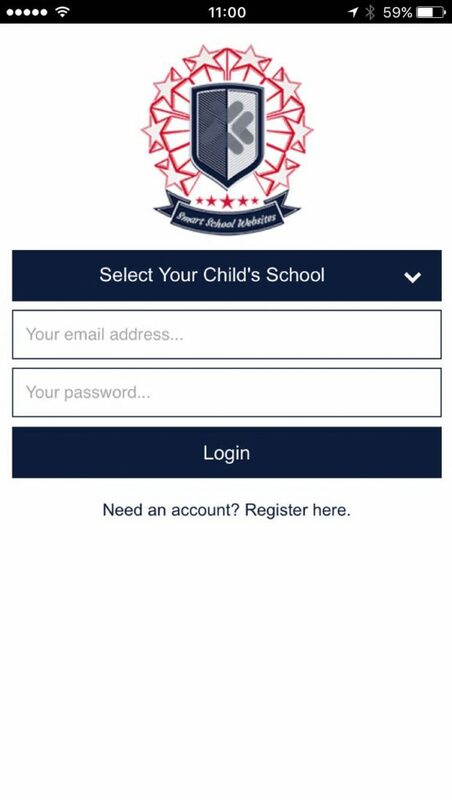 Depending on how your school have set the App up; you may be able to register, or, your school will provide a username and login. Please select your school from the list. 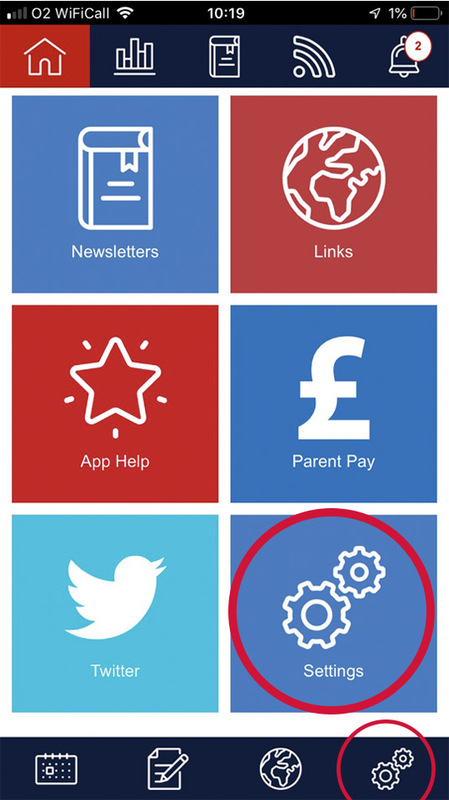 The first time you use the App you will be taken to the settings section, here you can select all relevant information streams that are relevant to you and your children. You can edit these settings at any time. 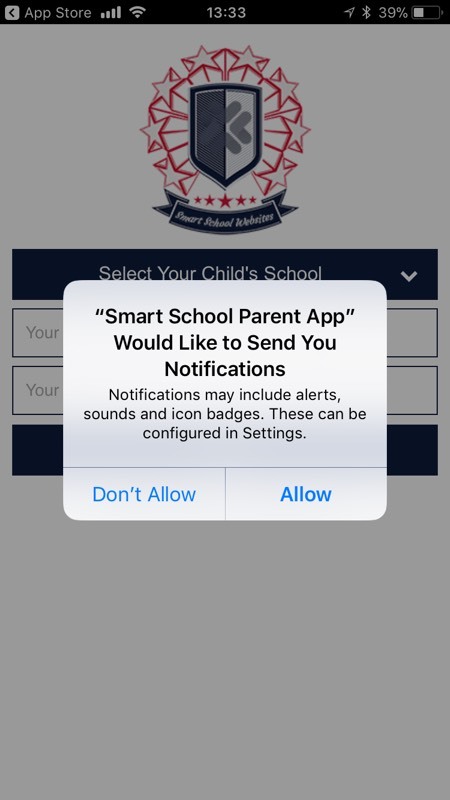 Your school can send push notifications direct to your phone, these notifications can be simple reminders, important messages or even include links to complete forms or view events. At the top of the screen you can filter between read and unread notifications. The news feed works based on your settings; it only displays information that is relevant to you and your child(ren), as well as all school news. 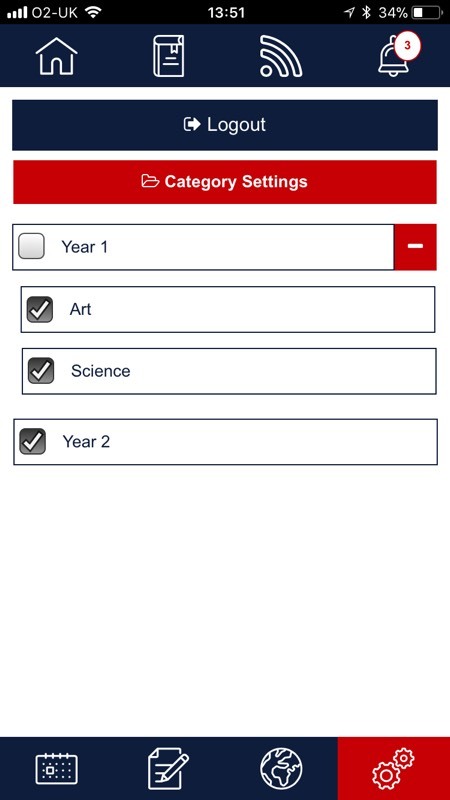 If you have selected multiple categories you can filter between these using the menu at the top of the screen. All events that are relevant to you, as well as whole school events, are displayed in this section. 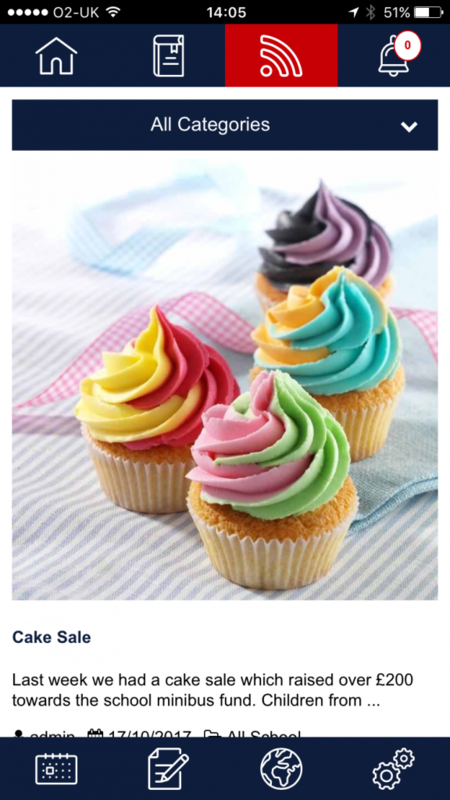 Some events may include a form such as attendance or lunch choices etc. If you have selected multiple categories you can filter between these using the menu at the top of the screen, as well as filter based on period of time. 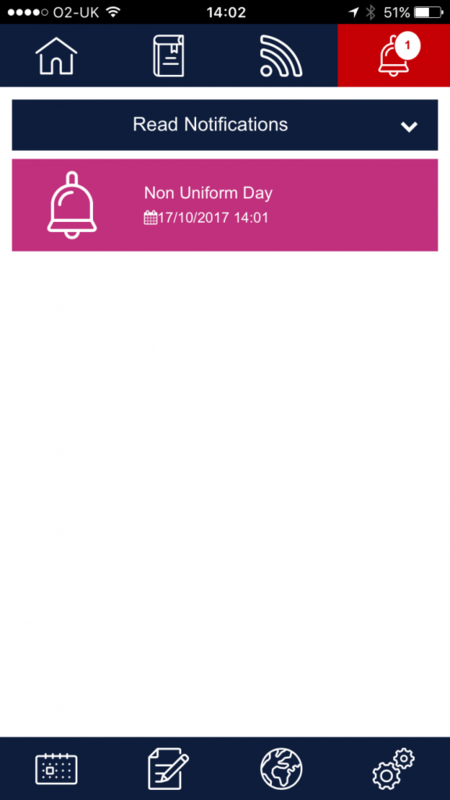 Your school may move to an entirely digital based forms platform. All forms can be submitted online. This reduces the amount of paperwork in school and streamlines admin. This section will include a number of external links that your school may suggest you visit as they will include informative information regarding your child’s education. 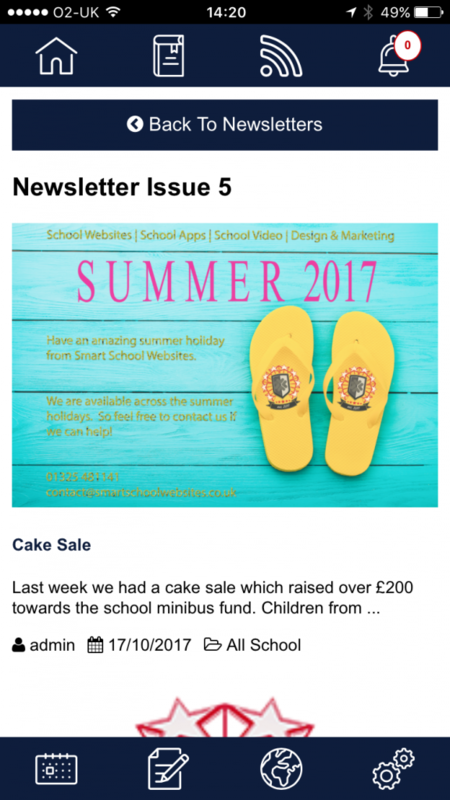 Your school may send regular digital newsletters; all issues will be available here. You can filter based on category depending on your settings. 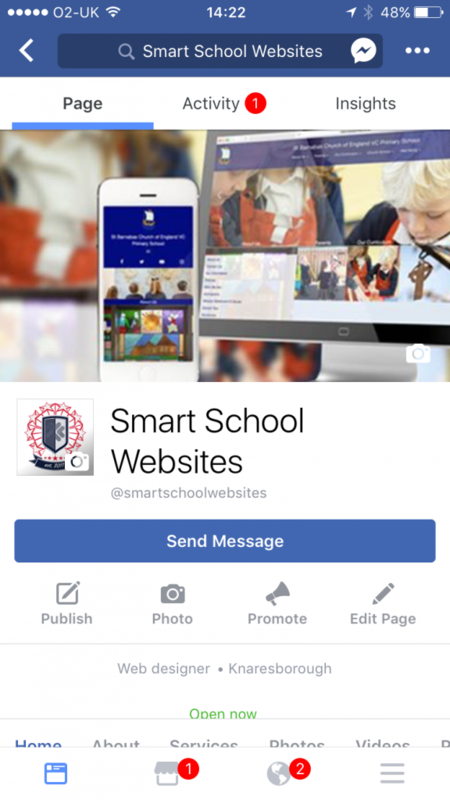 If your school uses social media there may be links directly to their social media streams which can be accessed via the App. The settings section allows you to control which streams of information you receive. You can select multiple categories and change them whenever you wish. 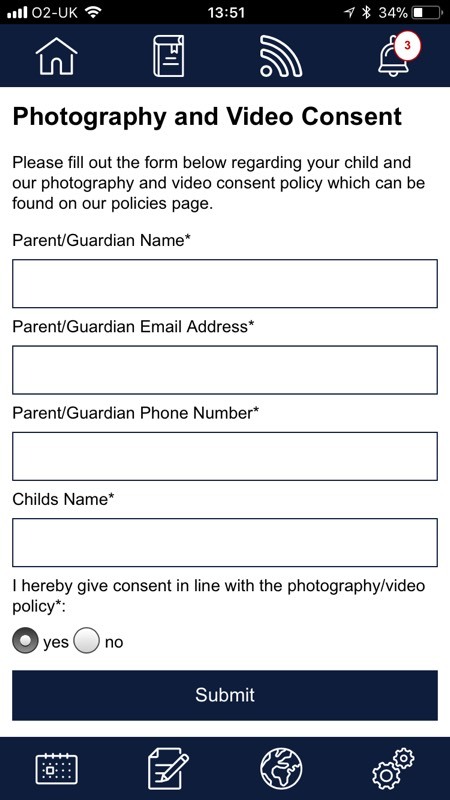 To enable your school to send tailored information to parents you need you to verify your account. You will have received a letter with your Parent ID and Pin. Simply go into the settings section on the app, scroll down to the ‘Your Children’ section and enter the ID and Pin and tap ‘Authenticate’. Visit the settings section – the can be found either on the dashboard or via the cog icon on the bottom menu bar. 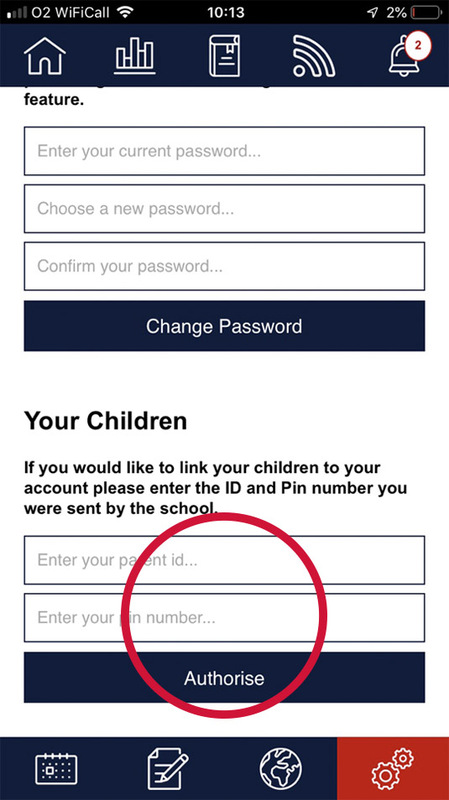 Scroll this section down until you see the ‘Your Children’ section, here you can enter the Parent ID and Pin that your school have provided. This verifies your account and allows the school to send various information to you regarding your children. Can just anyone download the App? 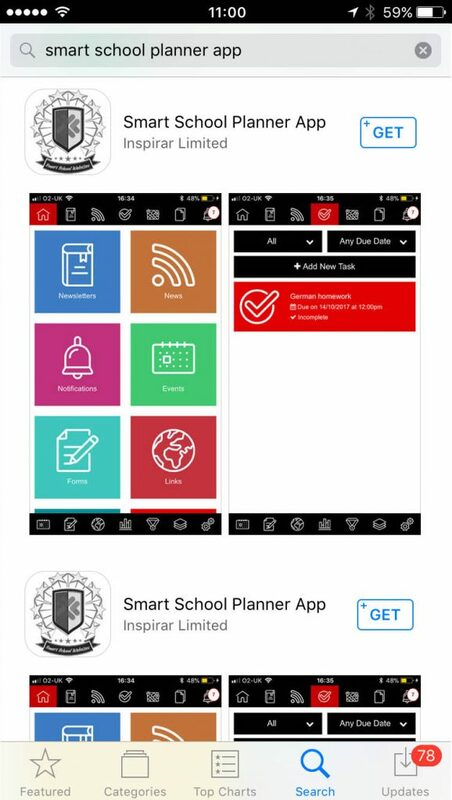 Anyone can download the App, however if your school has set up the app so that users need a username and password then only those with a valid username and password can access the information. 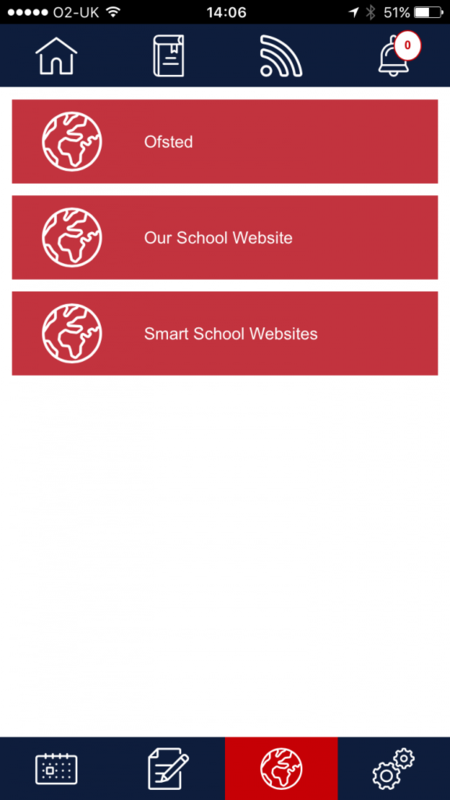 The App displays information that is freely available on the school website. Contact your school who will be happy to supply this information. You only need to login to the App once. Why is the App rated 17+ on the App Store? Apple have rated the App as 17+ as it gives ‘unrestricted access to the internet’ via the links section. 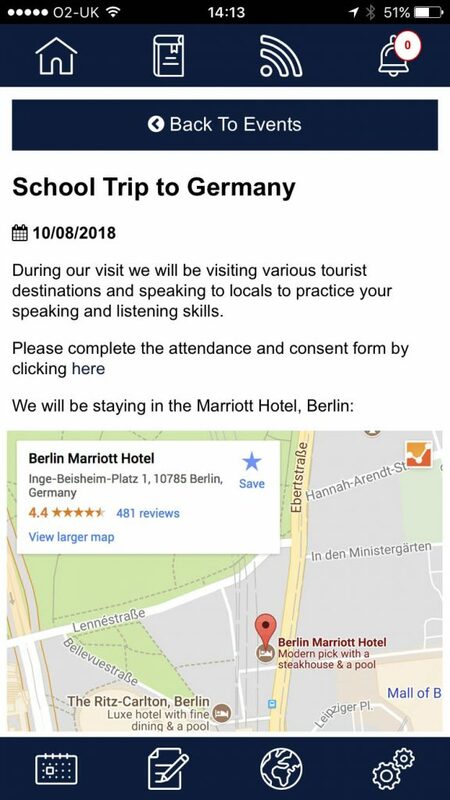 The links within this section are set by school staff and the App opens the native web browser – the same as opening Safari directly. Google have rated the app as 3+. How will I know about App Updates? The App will be updated periodically to improve features and fix bugs. The App will notify you that there is a newer version available, as well as through the notification area. The App is supported on all Apple devices running iOS 9 and above, and non Apple devices running Android 4 and above.